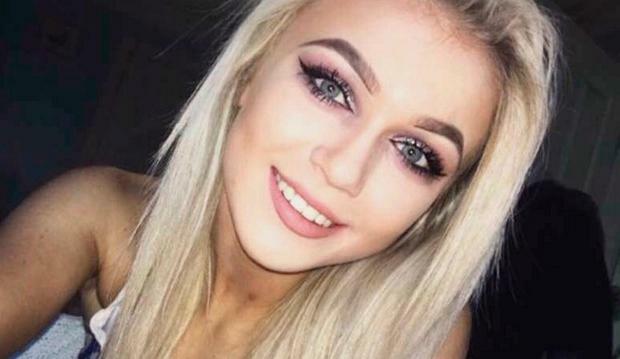 Friends have paid moving tributes to the 17-year-old girl found dead outside Belfast City Hospital on Sunday morning. She has been named by police as Tara Wright. Police believe her death is linked to a car crash in Castlereagh in the early hours of Sunday. Four men – aged 20, 21, 28 and 30 – were arrested on Sunday in connection with the incident. They were subsequently bailed pending further police inquiries. In the single-vehicle crash, a silver Mercedes was found on its roof near the roundabout at Ballygowan Road close to the junction with Manse Road, at around 2.30am. A man found injured after the crash was rushed to the Royal Victoria Hospital in Belfast for emergency treatment. Shortly afterwards at around 3am, the Ambulance Service reported finding a teenage girl lying on the ground next to a grey MG car in the grounds of City Hospital in the Lisburn Road area of south Belfast. Police believe that the MG car brought Tara to the City Hospital following the crash, she is understood to have been in the car when the ambulance service arrived at the crash scene. Attempts were made to resuscitate the teenager, but she was pronounced dead at the scene. In a statement released to the media Ms Wright's family said that they were "devastated" at her death. They said she was a "vibrant soul with a zest for life that could bring joy to all around her". "Tara was a kind, funny, charismatic, bright young girl with her whole life ahead of her and we can't believe that we now have to say goodbye to her," the statement read. "Tara will be missed immeasurably not only by us, but her entire family, especially her brothers and sister Charles, Alistair and Anna, who will never forget the love they had for her and the love she had for them." In a Facebook tribute, Tara's friend Neo Godson said that his heart was "completely broke" by her death. "Tara you were such an amazing, funny and kind person, a best friend to me. You walked into the room and just put a smile on everyone’s face," he wrote. "You brought the laugh to anywhere you went, you knew how to just make everyone happy. You where just so amazing and unique. All of the memories I have of us I will cherish forever. "I would do anything in this world to hear your voice one more time. I love you always and rest easy beautiful." Ellis Quigley worked with Tara at TeleperformanceUK in Newry and wrote on Facebook that he saw her on the day of her death. "Can’t believe I only saw Tara yesterday and saw that smile that would make anyone’s day and now she’s gone," he wrote. "The funny memories of work and night outs seeing her will be cherished so much. Sending so much love and prayers to her family and friends." PSNI Inspector Nigel Henry offered his sympathies to Tara's family. “We are appealing to anyone who witnessed either the silver Mercedes or grey MG to contact us to assist us with our enquiries. We also believe that a grey coloured MG vehicle conveyed Tara to the area of Belfast City Hospital therefore we are also appealing to anyone who witnessed this vehicle between the Ballygowan Road and the Hospital to contact police. “Investigating officers arrested four males aged 20, 21, 28 and 30 yesterday. They have since been released on bail and are assisting us with establishing the circumstances leading to Tara’s death. "If you have information about the collision, which you believe could assist our investigation, please pick up the phone and call us on the non-emergency number 101, quoting reference number 227 of 24/03/19.